Tofu, made from soybean curds, is naturally gluten-free and low calorie, contains no cholesterol and is an excellent source of protein, iron, and calcium. It is an important source of protein especially for vegans, vegetarians and those looking to move toward a more plant-based diet. Tofu is rich in Iron and copper, both of which are essential for manufacture of haemoglobin. 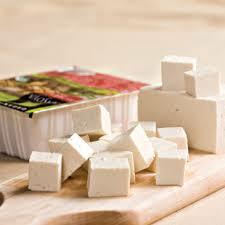 The Omega 3 fatty acids in tofu are healthy for the heart as they block formation of blood clots. They also stop clots from clogging the arteries. Tofu has antioxidant, anti-inflammatory properties useful in not only reducing blood pressure but protecting blood vessels from oxidative and inflammatory damage. Being a rich source of selenium, tofu helps protect the body from colon cancer. Women, too, can benefit from eating tofu as it has been found to lower the risk of breast cancer by 60%. Japanese are known to eat lots of tofu, the more the reason why this country has the lowest cases of cancer in the world! The level of calcium in tofu is sufficient to combat menopause. It fights bone-loss rheumatoid arthritis and estrogen imbalances. Tofu slows down the aging process by conserving the elasticity of the skin as well as the facial muscles. Tofu paste applied on the face is quite effective in nourishing the skin and toning it. If you are a vegan, that is, do not take meat and milk products, then tofu is a meat substitute. Tofu is one of the best sources of protein for vegans (people who do not eat meat or milk products) and vegetarians, so stock up lots of it and reap in its benefits. If you are aiming to lose weight, then tofu is one food you should incorporate in your diet. It has no saturated fats and has extremely low fat in it.